Prominently display weight and numeric data both inside and out with the Rice Lake LaserLight Series of remote displays. A durably constructed design showcases either four-inch or six-inch bright red characters, for visibility in any setting. 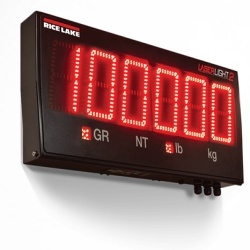 Display weight and numeric data with the Rice Lake LaserLight2 remote display. A super-bright LED display with non-glare lens provides sharp seven-segment, six-digit characters that are easy to read. 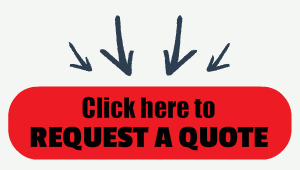 Mounting options include a flange tab which accommodates 1/4-inch hardware for vertical surface or pole mounting, or VESA mounting bracket for increased versatility. The LaserLight2 replaces the Laserlight which was very popular for many years. Prominently display weight, numeric data and messages with the LaserLight2 remote display. A super-bright LED display with non-glare lens provides sharp seven-segment, six-digit characters that are easy to read. Never lose visibility in dark conditions or experience wash-out in direct sunlight. Simply power up a LaserLight2 remote display in your application and the benefits are clearly visible. A redesigned enclosure provides easy access to internal components. The front panel swings open for convenient setup and service, yet is securely held in place. The weather-tight, IP66 rated enclosure provides superior protection for worry-free daily use. The external keypad makes navigating configuration options safe and easy with up, down, left and right arrow keys as well as Enter, Setup, Mode, Set and Learn buttons. Available in four-inch or six-inch character sizes, LaserLight2 remote displays include annunciators for gross, net, pounds, and kilograms. For added convenience, time and date is also included. To simplify installation and make retrofitting an attractive option, Auto Learn mode identifies communication formats and data rates used by existing weight indicators. Use LaserLight2 with virtually any weight indicator and you’ll experience a seamless installation every time. Mounting options include a flange tab which accommodates 1/4-inch hardware for vertical surface or pole mounting, or VESA mounting bracket for increased versatility. With the VESA mount, a wide variety of readily available mounting options typically used for flat-panel TVs are compatible with the LaserLight2. The LaserLight2 remote display—providing crisp, accurate weight readings in any condition to ensure your process is always in clear view. Power up a SURVIVOR LaserLight2 remote display in your application and the benefits of its bright, high-intensity display and non-glare lens are immediately visible. From a fog concealed truck scale, to the smoke and dust of a foundry or steel mill, the LaserLight LED display provides sharp, easy to read images of your critical weight process values. This remote display is one of our customers favorite displays and is available everyday at Central Carolina Scale, an authorized Rice Lake Weighing Systems distributor.